Career opportunity of Latest jobs in Board of Revenue jobs in Pakistan. 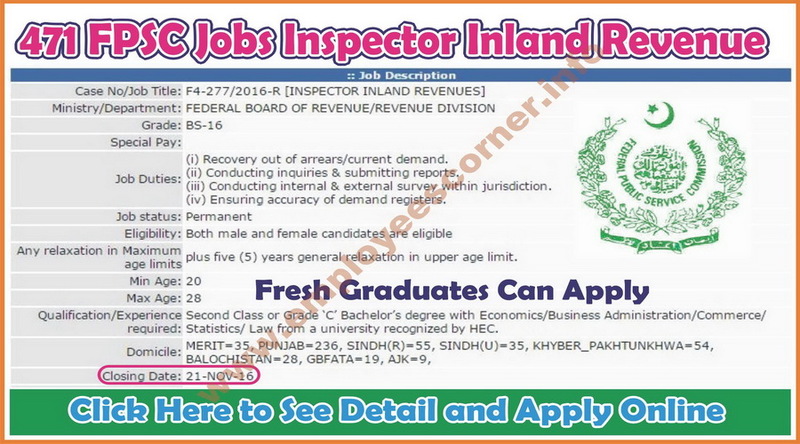 FPSC Jobs of Inspector Inland Revenue announced in all over Pakistan. Candidates can apply online on these FPSC Jobs of Inspector Inland Revenue by visiting FPSC jobs site. 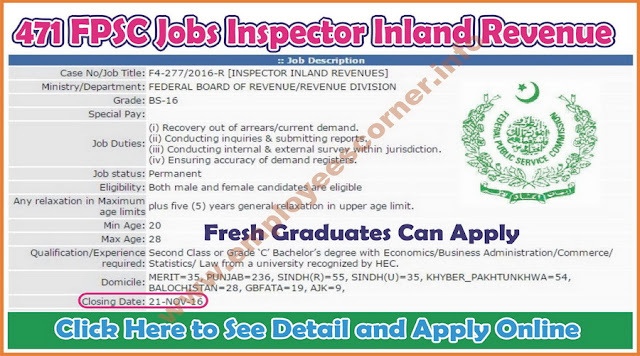 These Inspector Inland Revenue Jobs in FPSC Jobs Federal Public Service Commission Jobs in Pakistan 2016 are for fresh graduate of different subjects mentioned in FPSC Jobs ad. anyone please tell me that all the subjects they mentioned in advertisement would be major or minor courses in degree?